The video loop Michigan Theater - Parking Garage (Detroit) is based on two photographs of the interior of the Michigan Theater / parking garage in Detroit. 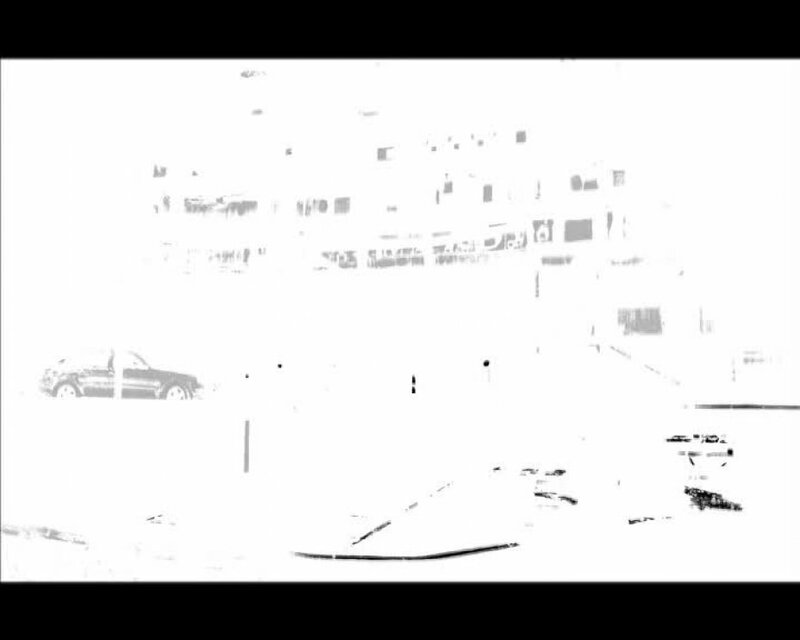 In a black and white computer animation they slowly dissolve. Built in 1926, the Michigan Theater was one of the most magnificent film theaters of its time. Gutted and partly demolished the derelict remains are now used as a parking garage. Historians refer to it as a symbol of the decline of Detroit. Ironically, the film theater was built on the site of the garage where Henry Ford built his first automobile. Now, once again, the building is filled with cars - Detroit's primary industrial product.